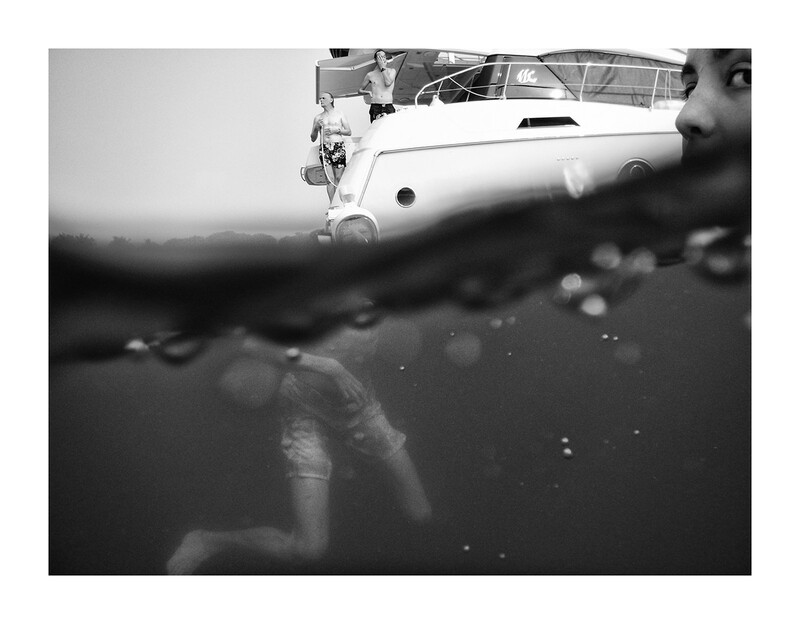 Our current series “Everywhere Street” is going under the waves this week. 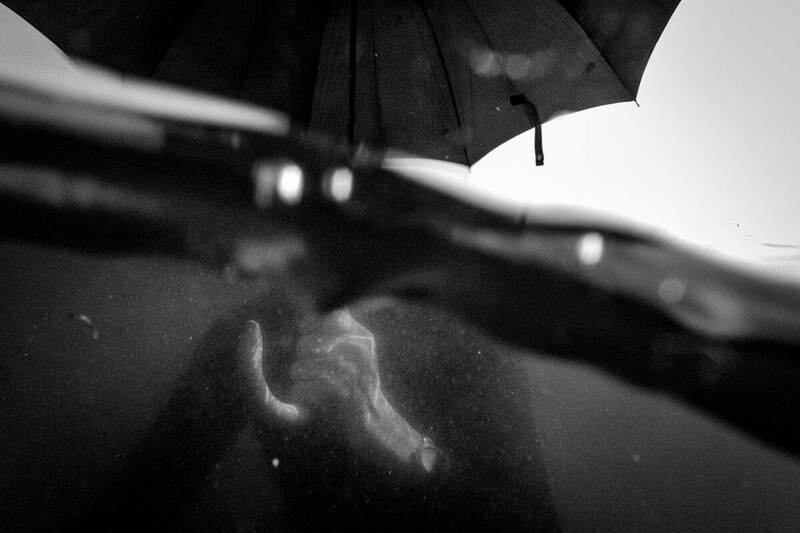 We meet two street photographers currently working on underwater photography projects in black and white. 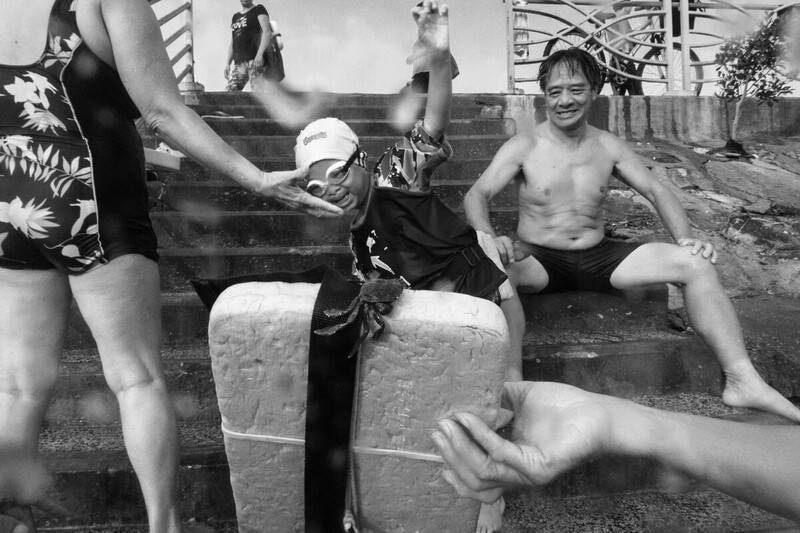 We’ll visit a Hong Kong beach with Michelle Rice Chan’s “Crab Seniors.” We also go boating and visit local swimming pools, as Silvia Hagge de Crespin explores “The Life Aquatic” in Singapore. How this series got started has a bit of a story. I have always been fascinated by the “Seventh Waves” series by Narelle Autio and Trent Parke. Their work is very different from one another, yet is similar in a sense of moodiness and surrealism, which I always look for, or try to include as an element in my own photographs. I like challenges, so I thought of giving myself a challenge this summer — instead of strolling down streets and shooting, I borrowed an underwater camera (Canon Powershot S10, with underwater housing) from a friend, and started to play with this technique. In the beginning, I was just going to different beaches and piers in Hong Kong, but it wasn’t really working. 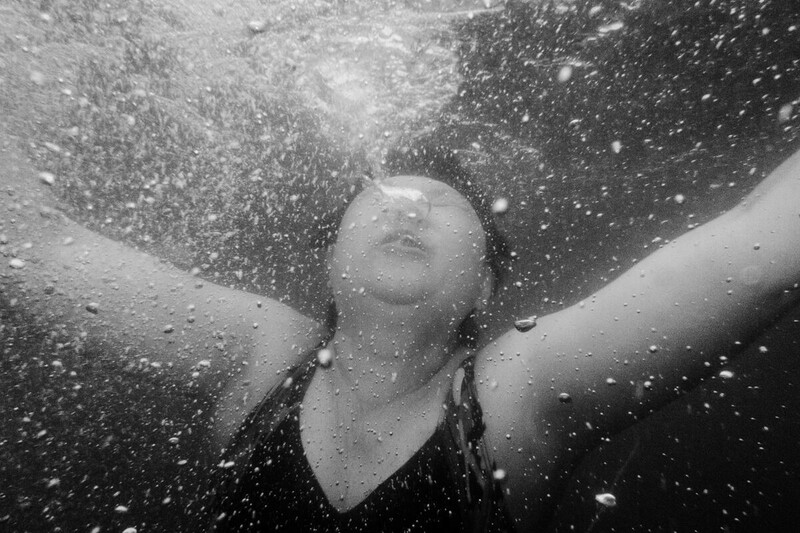 They were just random shots of people underwater, and I felt something was lacking. Coincidently, as a swimmer I was helping a friend to polish her swimming skills for a triathlon, and she mentioned the pier Wu Kai Sha, where she goes to every morning for her training practice. I tagged along one day, and I fell in love with the place, and the people. 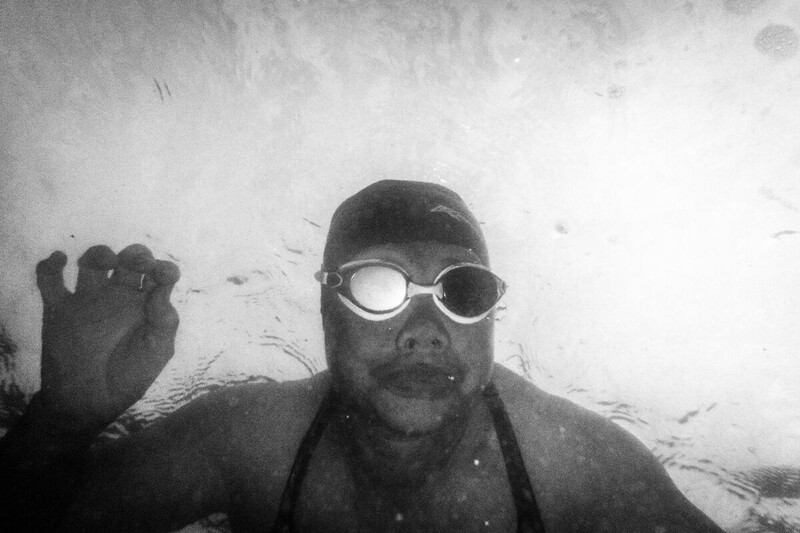 Since then, I started going there every day — to swim, to connect with people, and also to photograph. People inspire me. Like Diane Arbus, “I wanted knowledge, not just to make a good photograph.” So for this series, with almost all of the photographs I make, I have interacted with the people there, and they have became so natural with me and my camera, that they don’t even notice when I actually click the shot. I want these photographs to be something more than just my perception of the world — to also remember who the people are, what they do, why they go swimming there, etc. Black and white is always something that I see the world in, even though it’s in colour. It takes away the time effect and, somehow, it demolishes the presence of reality and takes me to my dreams and imagination. In general, black and white images are more emotionally impactful for me, and so I also want to capture images that hopefully make viewers feel the emotions that I left on the prints. Michelle has a love of black and white. Each frame is her language to communicate about her emotions, ideas and beliefs. Her work has been exhibited in some of the major places in Hong Kong, including Hong Kong Arts Centre and Hong Kong Convention and Exhibition Centre. She currently is one of the founders of The Orange Moon Collective, and also a member of [DRKRMS] which is a photography platform for Asia’s best emerging photographers. Follow more of her street work on Instagram. This is an ongoing project that I started a few years ago, when my children were growing up in Singapore, and the swimming pool was the place to be. 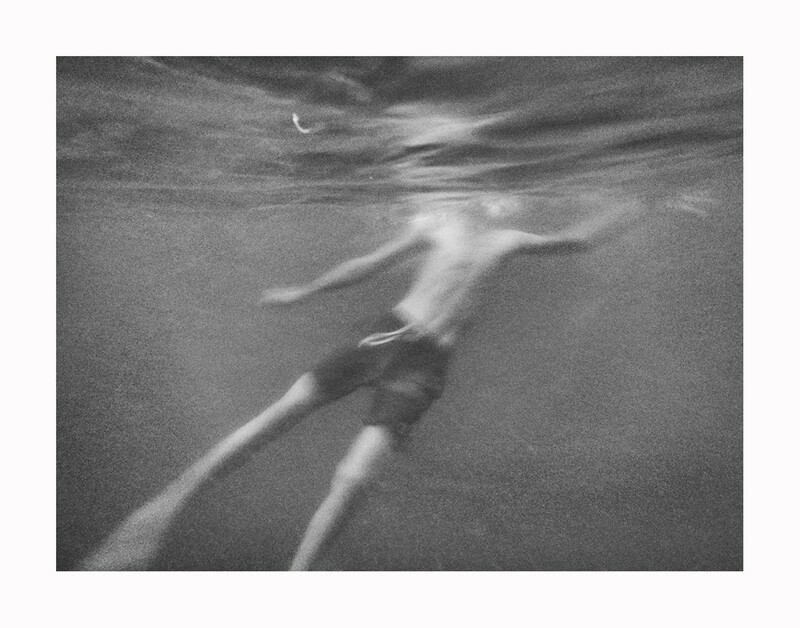 With disposable cameras, I started photographing them under the water when they learned how to swim. Over fifteen years later, I was tempted again by this medium when looking for photo projects to do at home. About two years ago, we started boating with my family — so now every Sunday, if I’m in Singapore, we go out to sea. 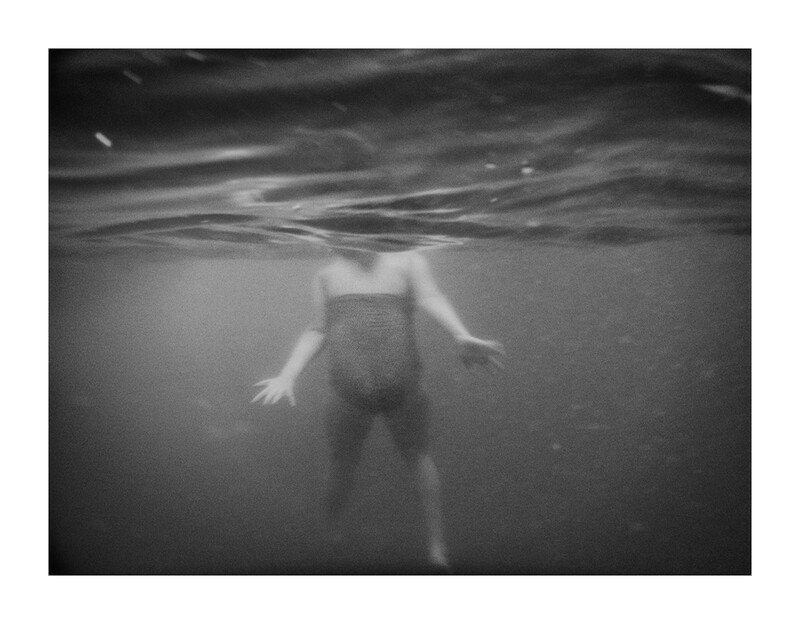 Every week that I’m there, I explore either the sea or local pools, diving in with a small underwater digital camera. 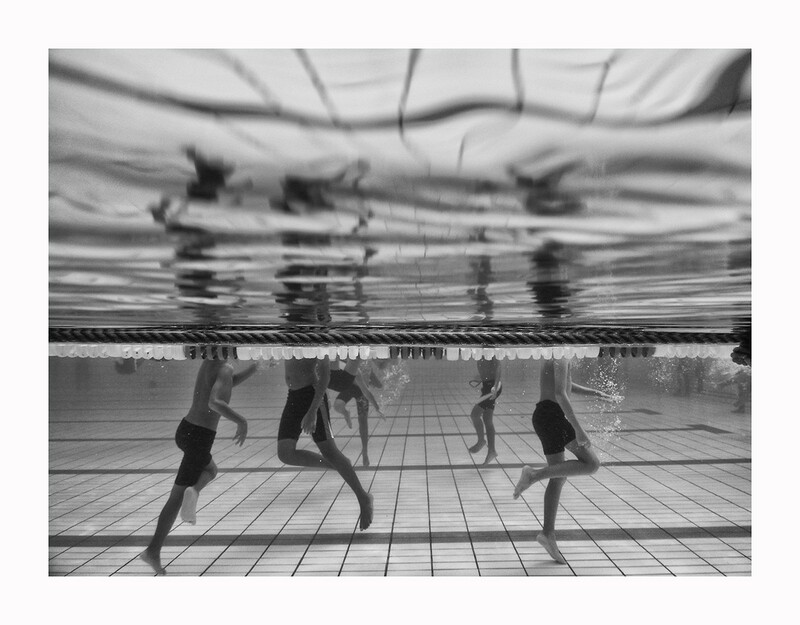 This study is based on the beauty on how different bodies react in water. 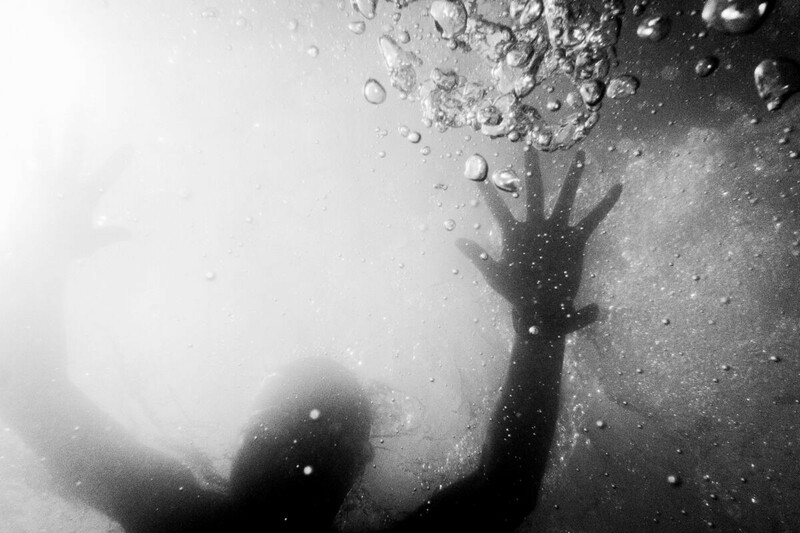 Bodies are gracefully suspended in sea water, yet while in swimming pool waters, they tend to be more static. How people react and behave in the water is also a long case study. As with all of my work, my subjects don’t pose, and I try to get the natural beauty of it. 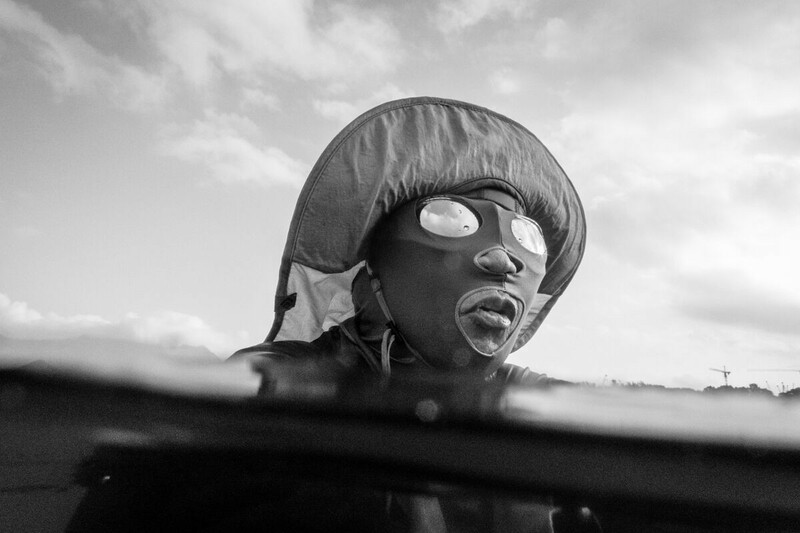 When boating, my subjects may be people from other boats swimming by, but mainly are my friends and family who are swimming, or just talking with me while floating. They know I have a camera with me, but since the camera is mostly underwater, they hardly realize when I photograph. I work with different projects at once, all them are quite different, so the approach is not the same. When doing candid street, I need to anticipate the action, the area, and act fast. 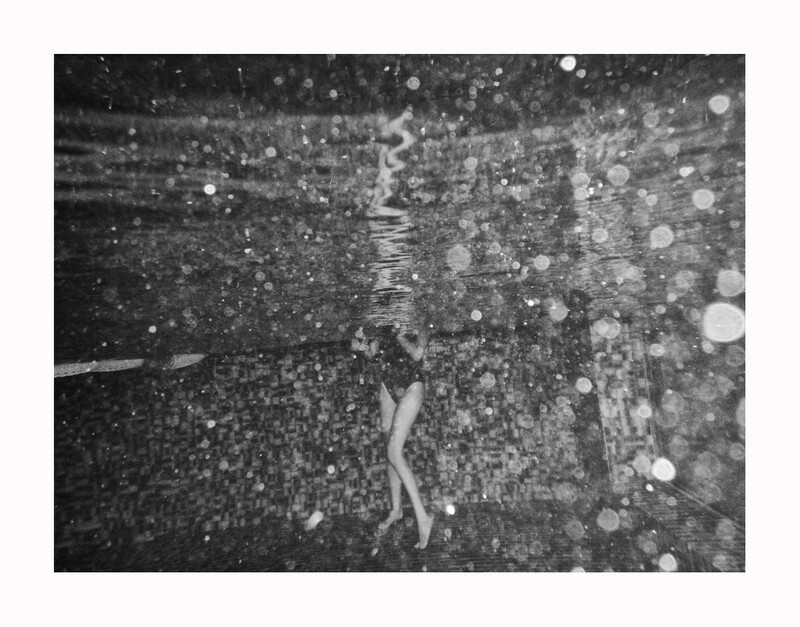 With the underwater project, I let the moment flow, I shoot when I imagine something interesting is happening underwater, and since I can’t focus with my eyes, I have to guess where the subjects will end up in the frame. The camera I use is a simple point and shoot underwater camera, so it’s very slow. 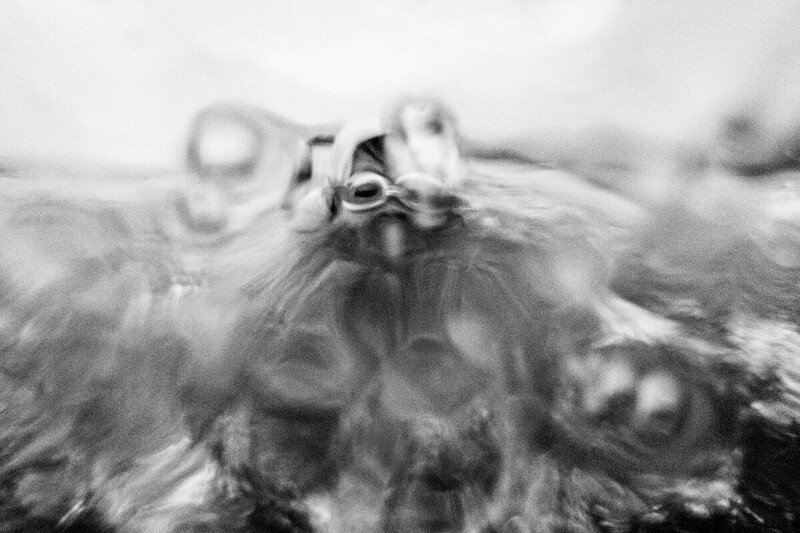 Depending on weather, light, and tides — some days the visibility underwater is very bad, so that I can only see the water and see no person, no matter how close the subject is. So those days are quite frustrating. It’s mostly trial and error, with more errors than right ones. However, when I get a nice artistic shot, I feel so happy! I really love this project for the reason that it keeps surprising me when I less expect it. Silvia was born and raised in Argentina. She’s been an avid traveller from her youth, and passionate about different cultures and languages. Even if she has been photographing for many years, she had a breakthrough after a workshop with Magnum photographer Nikos Economopoulos, the first of many more. She has a variety of different projects, but the approach is always the same. She tries to create artistic images of what is before her eyes, not forcing any situation, keeping it as natural as she found it. She has been living in Singapore for the past 20 years. Her Side of the Street is a blogzine for women photographers. Join our FB street photography community, and follow @womeninstreet on Instagram and Tumblr.